Pointing to the number of collision repairers still existing as competitors, a spokesman for the Caliber-ABRA merger predicted Wednesday neither the Federal Trade Commission nor Department of Justice would block the deal. “We do not anticipate any issues in our highly-fragmented industry, with more than 30,000 auto body repair centers nationally,” spokesman JP Kaytrosh said in a statement Wednesday. Caliber and ABRA announced Wednesday that ABRA’s parent company Hellman & Friedman would acquire a majority stake in the merged company, which will be named Caliber and be led by Caliber CEO Steve Grimshaw. The new Caliber would have more than 1,000 auto body shops across 37 states. Caliber owners Leonard Green Partners and OMERS Private Equity will hold minority shares. The deal would certainly have to be submitted to the government for approval by either the DOJ or FTC. (Either could be selected to check the deal.) Even ABRA’s purchase of the 39-shop Cooks Collision had to be examined by the feds under the Hart-Scott-Rodino Act, winning an early termination greenlight from the government Oct. 8. Any acquisition $337.6 million or more has to be reported. Any deal between $84.4 million and $337.6 million also needs to be reported if one party posts at least $168.8 million in sales and assets and the other does at least $16.9 million in sales or has that much in assets. Terms of the deal were not disclosed Wednesday, but with Bloomberg reporting in 2017 that Service King could be worth $2 billion and the two companies believed to represent more than $3 billion in combined sales, it’s clear the deal would be up for review. Supplement Advisory principal Brad Mewes was also skeptical Wednesday that an antitrust issue would block all or part of the merger. “I would be hard-pressed to see one,” he said. Caliber and ABRA combining was a merger of “two equals,” and companies like Service King and Gerber still existed to compete with it, according to Mewes. Despite the possible market share Caliber would have in some regions, Mewes didn’t foresee issues at the individual market level either. The FTC considers those as well as the national footprint when evaluating deals. Antitrust regulation is about a company’s pricing power, and “I don’t think Caliber’s there yet,” Mewes said. This is a great deal for Caliber. Geographically, it is very synergistic. The majority of ABRA’s locations were in states in which Caliber previously had no presence. Of the 28 states ABRA operated in, Caliber operated in only 10 of those states. Caliber now has beachheads in 18 additional states and now operates in 38 states nationwide. From a competitive standpoint, Caliber now has significant market presence in each of the primary markets of its main competitors, Service King and The Boyd Group. In each state, with the exception of Michigan and a few less populous states, Caliber now has either the most stores, or a comparable number of stores relative to its competitors. A similar circumstance happened last year when the FTC reviewed the merger of two gas station chains and made the acquirer ditch up to 71 stations with convenience stores. AP Media Chief Marketing Officer Lee Emmons wrote in Hammer & Dolly in 2016 that according to conventional wisdom, the average collision customer is willing to travel between seven to 10 miles for auto body repair. Then-Ford collision marketing manager Mark Mandl during a 2015 OEM collision certification panel said customer interest drops off quickly if they have to drive more than 10 minutes. If it’s not a trip under 20 minutes, they’re not going, he said. Veritas Advisors President John Walcher thought “a couple” of markets might exist where the FTC made Caliber divest itself of some shops. “That wouldn’t surprise me,” he said. FOCUS Capital Partners managing director David Roberts was skeptical that the FTC would raise any issues with the merger, pointing to how the cellular provider market had largely shrunk to AT&T and Verizon. If a far larger sector was allowed to consolidate to that degree, the $33 billion collision market wouldn’t be a concern to regulators, he argued. “It’s hard to speak generally about merger review because each case is fact-specific,” senior public affairs specialist Betsy Lordan wrote in an email. “But the agency seeks to determine whether there is competitive harm, and in the process, it defines both the geographic market and the product market where it alleges that the harm takes place. 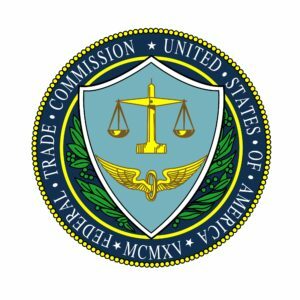 The FTC did thwart another noteworthy collision industry merger attempt about a decade ago, when its opposition to CCC’s plans to merge with Mitchell into a $1.4 billion company led to the deal collapsing. However, the estimating and total-loss valuation market shares of that ensuing company would have been more than 50 percent — far higher than the 10-12 percent financial experts estimated the merged Caliber would command overall.